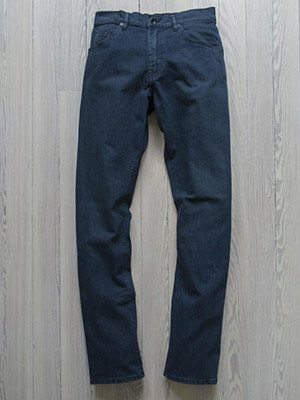 A list of made in USA jeans from brands that actually own their American factories and don’t outsource sewing. In 1873, Levi Strauss and Jacob Davis were granted a US patent to add rivets to men’s work pants, creating the first made in USA jeans. 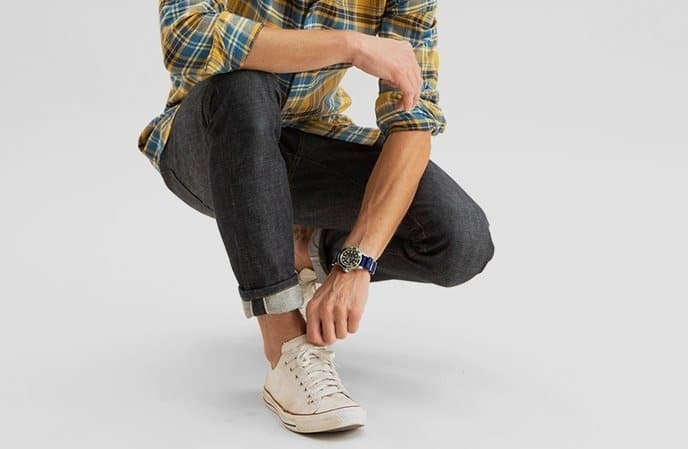 Nearly 150 years later, jeans have evolved from their work wear roots to an everyday American clothing essential. Over the past 40 years, almost all American jean manufacturing has been outsourced to cheaper manufacturers overseas. Few brands remain, but when it comes to made in USA jeans, not all brands are equal. Brands often use ‘Made In USA’ as a marketing tool, then move manufacturing overseas when the brands get too big. 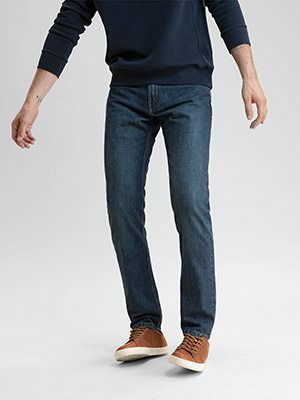 The following 8 Made in USA Jean Brands Committed to American Manufacturing actually manufacture – think sewing machines, factories, and American workers – in their own US factories and studios. Todd Shelton cuts, sews and ships it’s jeans from the brand’s East Rutherford, New Jersey factory. Nothing is outsourced. The brand’s made in USA jeans come with industry-leading fit options such as custom inseams, rise adjustments and multiple leg fits. The premium jeans are made in selvedge and non-selvedge denims in raw, dark, and washed options. 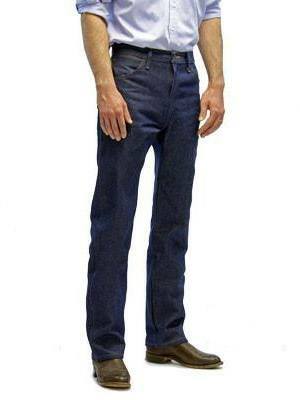 Todd Shelton offers fit programs and personal service to ensure the right jean fit. 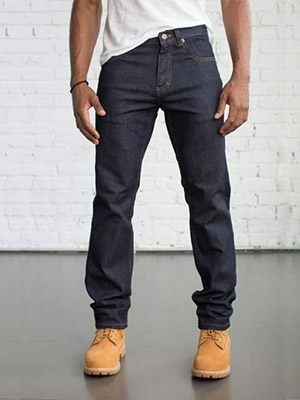 Established in 2010, Detroit Denim Co.’s mission is to create high quality men’s and women’s jeans in Detroit, MI. The brand sources all denim and manufacturing materials from US companies and hand-makes its jeans and apparel in Detroit. 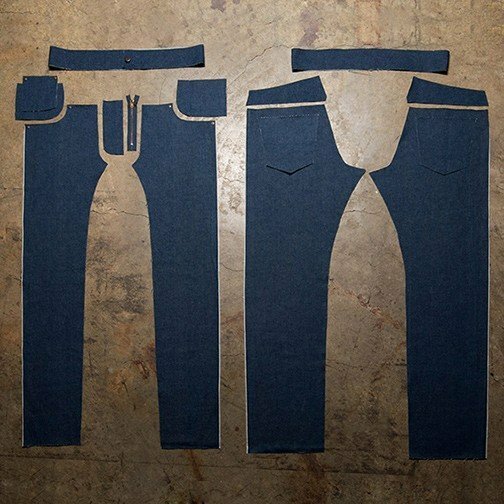 Detroit Denim offers 5 jean fits for men and 4 fits for women. 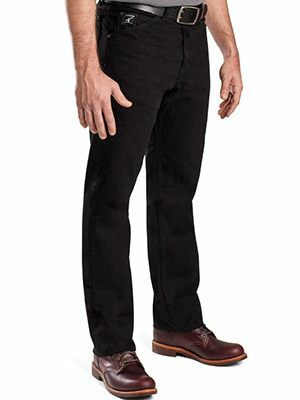 Dearborn Denim jeans are cut, sewn, and crafted in the brand’s Chicago factory. 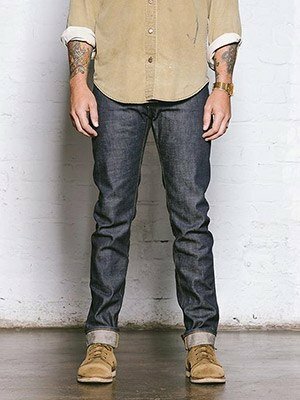 Denim, zippers, buttons and other materials used to make the jeans are all sourced from the U.S. Dearborn’s Blue denim jean is a 9.5 oz. stretch denim. 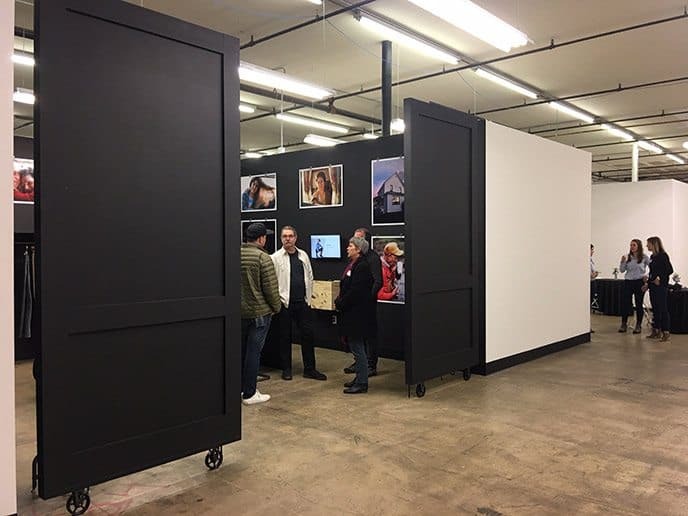 Shockoe Atelier’s workshop is located in downtown Richmond, VA. 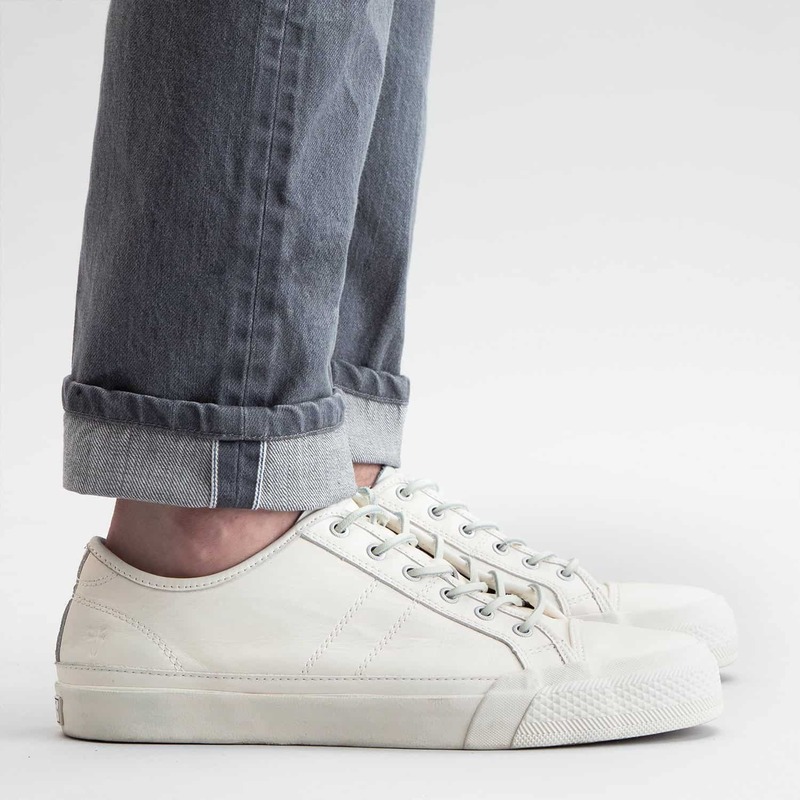 The brand makes ‘a line of classic American apparel in an old cinderblock box of a building at the doorstep of the American South.’ Shockoe Atelier offers a free lifetime repair guarantee on all jeans for rips, tears, and blowouts. Railcar Fine Goods is located in Monrovia, CA. The company uses a small team of sewers and leather workers to build products with the highest quality raw materials available to stand the test of time. Everything is built from start to finish to ensure longevity. Every stage of manufacturing takes place in-house at the brand’s workshop. All Round House brand jeans and work wear are produced in the brand’s Shawnee, OK headquarters. The company was founded in 1903 and is the largest and oldest manufacturer in Oklahoma. Round House sells its jeans online. The oldest continuously operating, family-owned, cut-and-sew factory in the United States. The brand makes iconic work wear of exceptional quality in the United States. LC King has a factory store and also offers factory tours. Denim brand founded in Raleigh, NC. 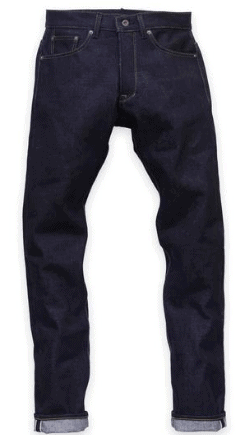 Raleigh Denim jeans are designed and produced in the brand’s downtown Raleigh workshop. 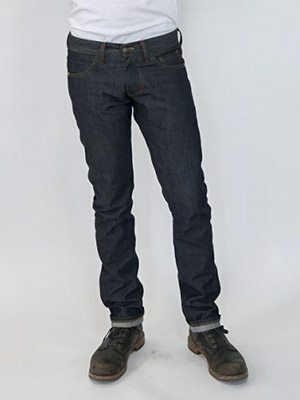 Men’s and women’s made in USA jeans available online and in specialty stores throughout the US.